Maybe it was because Rick Springfield was on my mind as I got off the plane in Vegas, but the first thing I noticed was the sign on the “Victoria’s Secret” store (that’s the name of the first song on the 2008 “Venus in Overdrive” album). Then I noticed a mural about Sydney as I was waiting for the tram (that’s the city where he was born). And when my cousin and I got in the car on the way to the concert, she turned on the ’80s station on Sirius and “I’ve Done Everything for You” was playing. I made the trip to Vegas for my fourth RS concert this year – the most recent one was just a few days before at the Arizona State Fair where my kids got to sing “Don’t Talk to Strangers” with him. After the two shows earlier in the year – one a full-band show and one part of his Stripped Down tour – I met him briefly both times. So I was hopeful that there’d be another RS encounter at some point during this trip, too. I figured it would most likely be during “Human Touch,” the point in the show where he comes out into the audience, walking on chairs, being supported by fans, taking photos, giving hugs and sometimes being grabbed by fans (I got a little “human touch” at the Phoenix show: as he walked away, I reached out and gently touched his arm – whoo-hoo!). When he got to “Human Touch,” he went out into the audience and I was telling my cousin – it was her first RS show – that lately I’ve seen videos where he walks around the entire venue so there was a good chance he’d come our way. But then he didn’t. In fact, he never came out of that first section. It was so disappointing to see him heading back to the stage without leaving the first section – but we wouldn’t know why until the following day. After the show, we hung out in the lobby for a few minutes. The doors were closed but some other people were still standing around – I quickly noticed they all had big stickers on their clothes. I thought that maybe if we were really quiet, nobody would notice we were there and maybe RS would walk in before anybody asked for passes. No such luck.They were lined up by the stairs and were told to show their passes as they walked up the stairs. One of the guards asked of we had passes and we (OK, I), sadly said, No, and we were told to leave. Before the show, we met up with some “Rick Chicks” in a bar next to The Joint for drinks and had a nice time talking with them. We met up with some of them after the show and hung out at the bar next to the venue – the guitarist and drummer from RS’s band were there so we thought maybe he’d come by when he was done with the Meet and Greet. A little later, people walked by with boxed guitars and smiles on their faces. But no RS. It was about 12:30 a.m. around this time and my cousin looked pretty tired so I told her we could go. We stopped at The Beatles display and I thought hey, maybe there’s a chance he’d come by to see it, too. Nope. Then I thought maybe let’s go try the bar one more time to see if he came out. Nope. OK, we can go. OK, let’s just try one more time. Nope. Then I realized it was just not meant to be this time and we left. Although it was a great show and I had such a fun time with my cousin, there was a heavy feeling of disappointment that I didn’t get to cross paths with RS one more time. After all, I have no more concerts planned and the chance of being in the same place at the same time with him was unlikely. Of course that didn’t stop me from looking for him at the airport the next morning. There haven’t been any updates – though there was an announcement that tomorrow night’s show was cancelled due to scheduling conflicts, but not sure if it’s related. After knowing what happened, the jump he did in the “I’ll Make You Happy” video now makes me wince – that must have hurt – but from the way he continued on with the show, it wasn’t apparent at all that he was in pain. It’s disappointing that adults would act so out of control – hopefully the injury wasn’t as bad as it looked and RS heals quickly. I didn’t want to take any chances with “Down” because I wanted to have my own video of it. I was hoping to get it kinda close-up so I could maybe read his lips for the lyrics that I haven’t figured out yet. But with my kids on either side of me talking, bumping me and at one point taking the phone from my hand to do the filming, it didn’t come out as I had hoped. 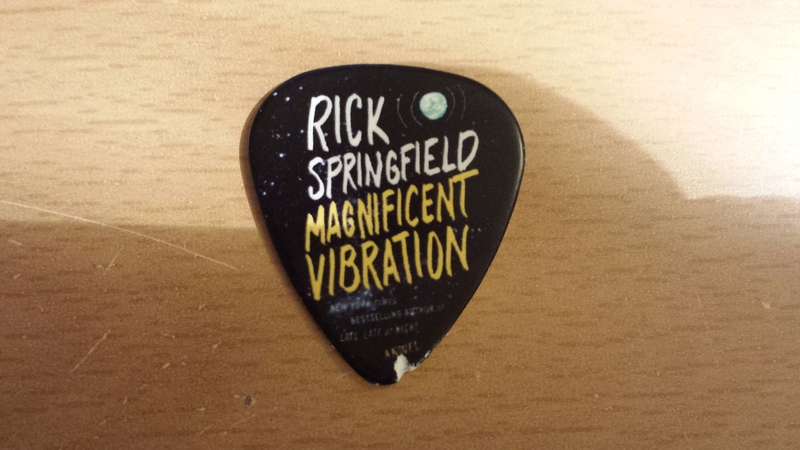 At first I was pretty disappointed with how it came out, but after I watched it again, I realized that it was actually a precious souvenir: a live video of Rick Springfield singing one of his new songs with my boys voices’ on the video. OK, I think that’s it. Here’s the video of “Down,” but I recommend that you close your eyes – RS sounds great but the video is very shaky and mainly blurry. My sons got to sing with Rick Springfield! My older kids went to their first rock concert tonight and Rick Springfield has set the bar really high for future concerts. When RS sings “Don’t Talk to Strangers,” he often brings kids on stage to sing. A few shows ago, a whole group of kids stood on the stage by the end of the song. This always seems so incredible to me because many of the kids’ moms were probably about that same age when they started listening to Rick Springfield! Anyway, my boys have watched some of the videos of the kids on stage from recent concerts and we talked before the concert about the possibility of them getting to sing with RS. My 9-year-old had no hesitation about the idea of going on stage, my 7-year-old wasn’t sure – he said he probably wouldn’t want to. We even got them new cool Star Wars shirts for the occasion – one with a Stormtrooper playing guitar, and one with C3PO playing guitar. So when RS started singing DTTS, my 9-year-old was singing along and trying to get RS’s attention (the 7-year-old, meanwhile was lying down on the chairs). And bless his heart, RS came over when he was in the audience, climbing on chairs, and let Z sing “Don’t Talk to Strangers” into the microphone. RS asked him to stand on a chair so he could see his shirt and commented on it – the crowd cheered and Z looked around and smiled proudly. RS was so sweet to them – he also asked J to stand up so he could see his shirt. He asked both of their names and ages and Z told him they were brothers. He also encouraged J to sing “Don’t talk to strangers” into the microphone and the audience cheered and applauded afterward – J had a big grin on his face. We found out afterward that they were on the big screen and as we left the coliseum, several people commented to them that they did a great job and told them how lucky they were to sing with Rick Springfield. “Mommy, are we famous now?” Z asked on our way out. “Does Rick Springfield know me?” As we left the fair, he asked the guards at the exit if they were at the show and told them he got to sing with Rick Springfield and was on the big screen. Thank you, RS, for giving them such an incredible experience! My husband didn’t want me to stalk you after the concert (something about needing to get the kids home to bed…) so I couldn’t thank you in person, but thank you (in case you happen to read this someday)! And thanks to the two nice fans that sent me a photo and a video of RS with the kids. It was fun to hear the boys’ comments during the show and to watch them sing along. Every time my 7-year-old recognized a song, he was so excited to tell me which one it was. They also collected rose petals for me each time RS did a petal explosion on stage and my husband scored a “Magnificent Vibration” guitar pick that RS threw out into the audience. And, during the show, he told me that Springfield is a state. No, but it’s a city, I told him. “Is it named after Rick Springfield?” he asked. 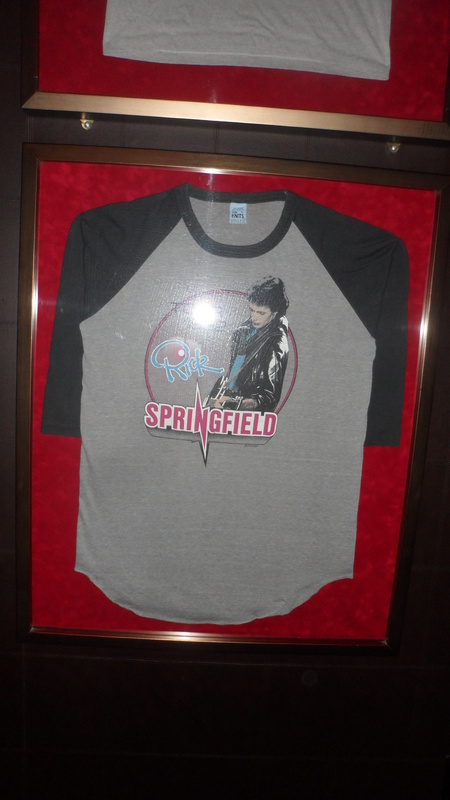 The Rick Springfield concert at the Arizona State Fair, a few miles from my house, is tomorrow night! Is RS in Phoenix at this very moment or is he flying in tomorrow? I don’t know. Maybe his plane is flying over my house right now. Am I being a little obsessive? Maybe. So here we are the night before the concert. I’ve printed out the concert tickets and the fair admission tickets, verified the directions to the fair and how long it will take to get there, found out where to park, confirmed with the babysitter for my youngest son (I arranged a back-up plan, too, just in case), packed special T-shirts I bought for my older sons for the concert, packed earplugs in case it’s too loud for either of them, packed snacks in case they get hungry during the show, packed something for RS to sign in case I get to meet him again, and am doing a few loads of laundry since I’ll be out of town this weekend for the Vegas concert. This is so much more complicated then the nights before the earlier shows I saw as at teenager – I probably just listened to his albums or cassette tapes over and over again and chatted on the phone with my friends for a couple of hours. In the past year, I’ve listened to the “Venus in Overdrive” and “Songs for the End of the World” CDs countless times in the car, which means my kids have, too. So before this week’s concert, I figured I better get them acquainted with the songs on the Greatest Hits CD, too, since those are the ones he will likely be singing on Wednesday night. Of course they already know “Jessie’s Girl,” because any time it comes on the radio, I crank it up and sing along. And they’re familiar with “Human Touch” and “Don’t Talk to Strangers” because of the times I’ve shown them the concert videos of RS coming into the audience and having kids on stage, respectively. Not only is it fun to listen to these earlier songs again, it’s also fun to hear the kids’ reaction to them. They also want to know what the songs are about, so I try to explain them as best as I can, although the content isn’t quite kid-appropriate in certain cases. But we did have a good conversation about jealousy the other day. I admit that I hadn’t really listened to this CD in years until recently because I’d heard the songs so many times and I was more interested in listening to all the newer music I’d missed over the years. Plus so many of the concert videos that people post are these songs so I hear them – or parts of them – regularly. But my appreciation for them is rekindled now – it’s so fun singing along to them – the lyrics are both deep and fun to sing and the melodies are so catchy. I’m so excited that I’ll be able to hear these songs live in two nights! I tested out Periscope earlier this week and I’ll try to pay it forward for all the past videos and record from the concert. Since it’s the first time I’ll be so close to the stage (THIRD ROW AHHHH!!!! ), I want to the savor the moment as much as I can – and watch my kids savor the moment, too, and make sure they don’t get trampled – I don’t know how much recording I’ll actually do. 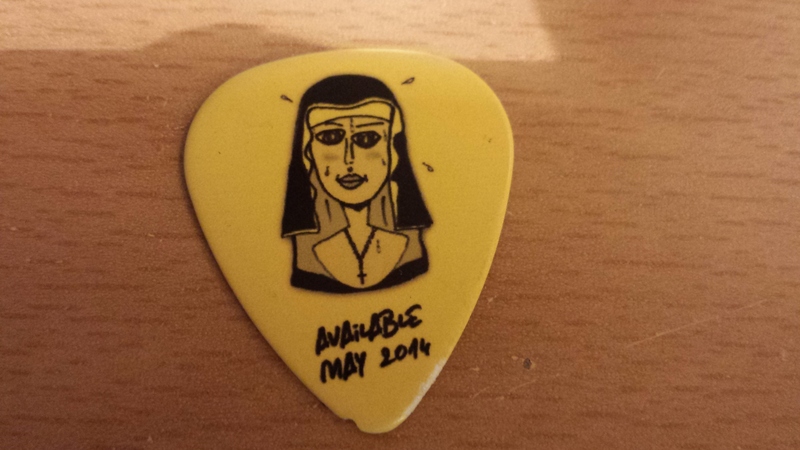 But I’m not as close for the Vegas show on Sunday night so I can try again that night. Two more days – yea! 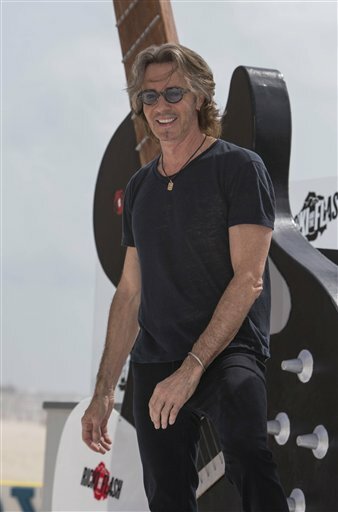 It makes me so happy to see all the great responses on Twitter from Rick Springfield’s shows at Walt Disney World. (Would be even better if I was there!). Such a brilliant move by whoever schedules his concerts. All this exposure to people who may not otherwise be familiar with his music (aside from “Jessie’s Girl,” because everyone seems to know that one) or attend one of his concerts. The comments ranged from excitement about seeing their teen crush to amazement that he’s 66 years old to praise for putting on such a great show. Since he’s really the only musician I follow this closely, it’s easy to forget that not every rock star goes into the audience for hugs and selfies and interacts so closely with those in the audience. I can’t really explain why this makes me so happy, but it does. It’s almost like the delight one might feel if a family member receives acclaim. Plus it just looks like he is having so much fun. I had a great dream last night, which was probably because I watched a Rickation Club Med recap video yesterday. I was on one of those trips except there was only about 15 of us and we got to hang out with RS in some tropical locale. And he had his shirt off the whole time. (And then my husband called and ended up stopping by the island. Really). Eight more days until RS Is in town and the AZ State Fair will be the happiest place on earth! 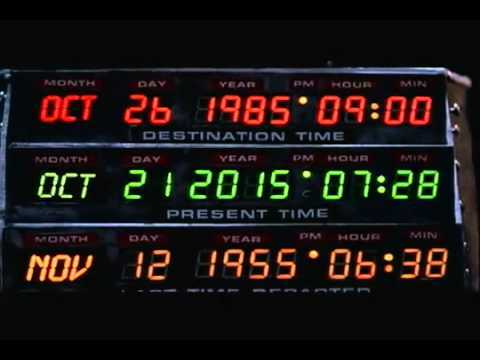 When “Back to the Future II” hit movie theaters in November 1989, Oct. 21, 2015 seemed like a long way off. That was the date set in the time machine/DeLorean car when Marty McFly was headed to the future. I was a college student in Long Beach, California, when the movie was released. I had moved out of my parent’s house right after high school graduation – I couldn’t get out of Arizona fast enough and never expected to move back. 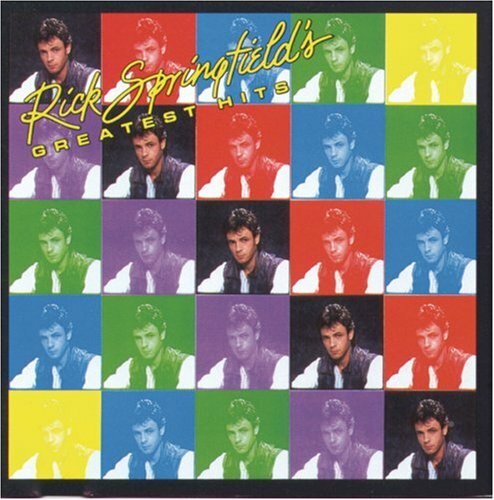 By 1989, Rick Springfield had stepped out of the spotlight and was no longer touring. His “Rock of Life” CD had come out in 1988 and soon after he was injured in an ATV accident that prevented him from touring then he pulled back from his career to spend more time with his wife and young sons. His next CD, “Karma,” would come out a decade later, in 1998. 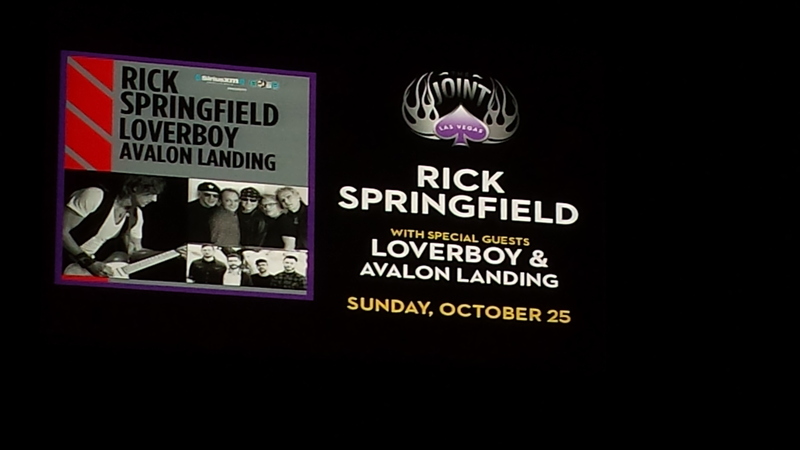 So if somebody from the future visited me in the movie theater back in November 1989 and told me what I’d be doing on Oct. 21, 2015, I wouldn’t have believed them: I will be at a Rick Springfield concert at the Arizona fairgrounds in Phoenix, a few miles away from home. Speaking of years, the future year in the 1983 “Human Touch” video is 2016. Who knew that 33 years later, at age 66, RS would still be going out into audiences during his concerts to give his eager fans the “human touch”? 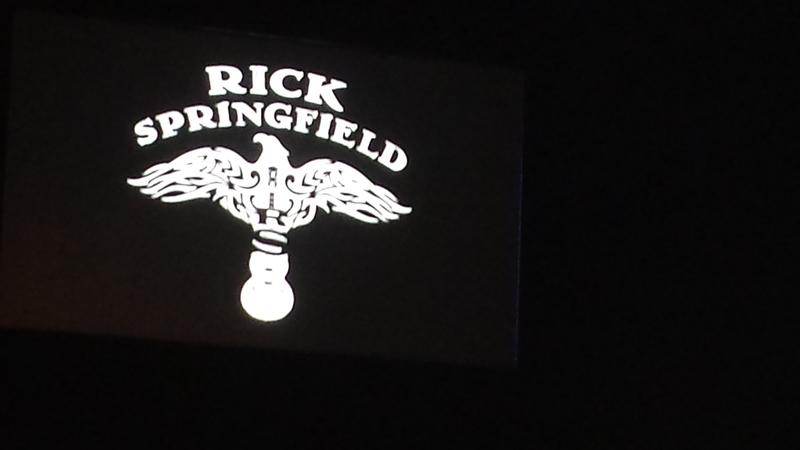 Two weeks from tonight, Rick Springfield will be back in Phoenix and I will be there in the third row waiting for him! This will be my ninth RS concert and this will be the closest to the stage that I’ve ever been (except for that one show back in 1999 when I maneuvered my way to the front during the show), so I’m very excited! I’ll be there with my husband – his first RS full-band show (he went to the Stripped Down show with me in Tucson this past April) – and we’re bringing our two older sons, ages 7 and 9. This will be their first rock concert. After I purchased the tickets and was expressing my excitement at getting such great seats, my husband requested one thing from me: to please not swoon too much over RS in front of the kids. I told him I will try not to, but honestly, I’m pretty sure my swooning is involuntary. I hear it in my voice when I start talking about RS – my voice gets higher and I start talking really fast. It’s as if some type of switch clicks on and I revert back to my 13-year-old self. And each time I’ve met him, my mind goes blank and either I start babbling about who knows what or I don’t say anything at all. That is definitely not something I’d do on purpose. Since my husband plays guitar and is a huge fan of live music, I’m hoping he’ll be distracted by RS’s amazing guitar playing and won’t notice any swooning that may occur.